Of course I named this thread after it in hopes that we could restart, but that still might not happen. There were quite a few people on it, and I hope that one of them knows what happened..
..but I don't think anyone will. I started posting about halfway in, and the disappearance of the thread cut my connection to others who were using the thread (Obviously) and stopped me from gaining info on.. ..certain things. I hope everybody on the previous thread notices this, but I recognize most won't. No landing on other landmasses. -When you are searching for buried treasure. -When it is a really tiny island. No taking wood from anywhere but the island, END OF STORY!! -When the tree is a tree you planted. Anyway, that's my attempt at starting a new "island community..."
I was thinking of restarting the thread when it disappeared but never got around to it. I assumed that Turniphead was one of the people who hadn't filled in the agreement for the new European law about the handling of personal information and that this was one of the many threads that were hidden because of that. I have cleared out the insides of the ocean monument I was working on, though I still haven't cleared out the "basement". Having started a village and bred a bunch of villagers to get Mending books I bought a woodland explorer map and cleared out a woodland mansion so now I've got all the books I could ever want for enchanting. 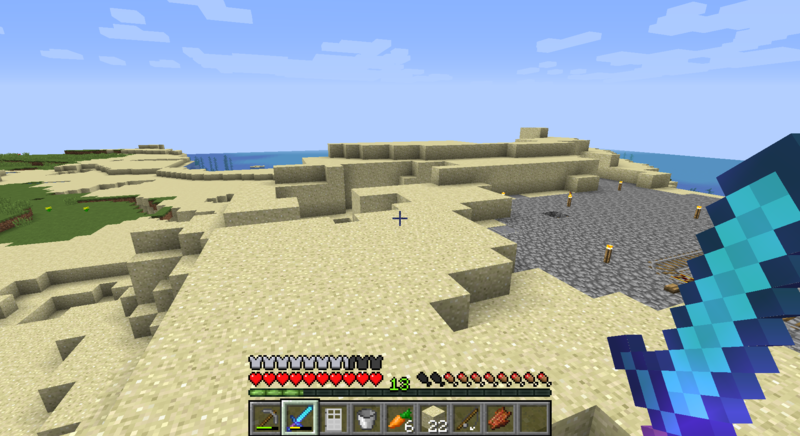 After that I've mainly been expanding my mine. Then I got sort of tired of that and started a new very small one tree island challenge and was thinking of avoiding enchanting to keep caving challenging. I have been spending some of my time on this world, still just mining though. I've checked and you are correct the thread titled "1 tree survival island challenge!" was made inaccessible because the Original Poster hasn't opted in and his post was "deleted" thus making the entire thread invisible to regular members. It contains 144 posts from Dec 2, 2018 to Jan 13, 2019.